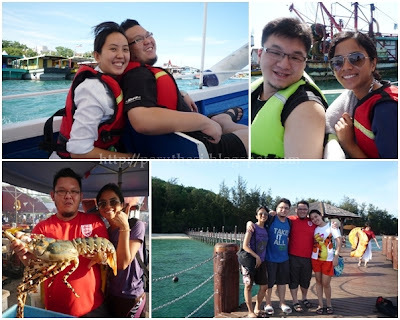 Overall comment: Decent-tasting, fresh seafood at an acceptable price - except for the prawns! If you're here & they still have their crabs promotion, I reckon it's not too bad a place to have crabs. The food at Jaws wasn't too bad although it's more expensive than seafood restaurants out of town. 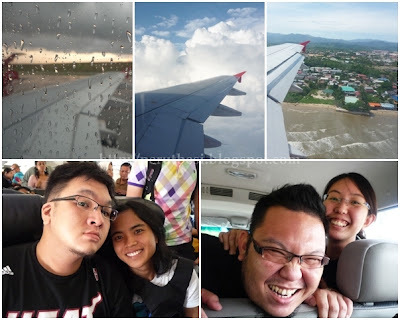 It's our 1st seafood meal in KK for the trip, so we had no point of comparison at all. To the very least, the seafood dishes were fresh & it didn't cost us THAT much after sharing out the cost :) Just RM25.00/person! Not too bad! The squid was not over-cooked, so it was tender yet its "chewy-ness" was maintained. The sambal belacan is a must-have for an added "kick"! It's kinda expensive though, but we didn't bother about the price since it's just day 1. This place is certainly NOT a place to order prawns as it's REALLY expensive! RM68.00/kg compared to other places that's selling for as low as RM30.00/kg for this cooking-style of prawns! I didn't realize that it was SO costly 'til now that I have a closer look at the bill! Thank goodness the prawns were fresh & still had that "crisp". But I was slightly disappointed to find that the presence of lemon grass was too lacking. Ok, this wasn't expensive. In fact, it's probably the "cheapest" thing to have here at Jaws. The crabs were fresh, cooked well, & the ingredients used for the "kam hiong" style were very fragrant. I enjoyed the mixture of dried shrimp, chilli, lemon grass (more evident here than in the prawns! ), & assortment of spices. Last week's trip to KK was an enjoyable one. AP & I didn't get to eat/see anything really different from our last trip 3 years ago, but the load of food & time to bond with JO & VK was of no regrets nor complaints :) Praise God that we had awesome weather throughout our entire trip! 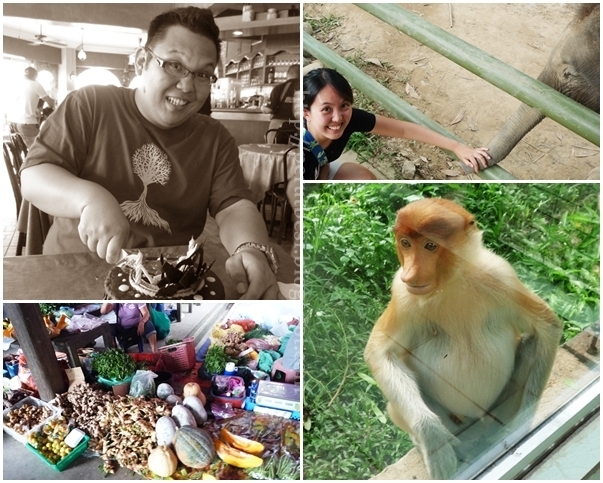 This trip, we had the opportunity to pop-by the Lok Kawi Wildlife Park, a place where we didn't get to visit in our last trip. This is the one & only place that's different from our year 2009 itinerary....ahaha...we even had dinner at the same seafood places (and more)! Although we've had it before, it's still as good or even better! Yums! Thanks to foodpanda, I had a chance to savour & get a "sneak-preview" to the O'Briens' Ramadan promotion. I was also taken down "memory lane" for a short period of time when a "fuzzy creature" appeared out of the kitchen! The event started with a short introduction of foodpanda, followed by an appearance of the unexpected (at least for me!) foodpanda's mascot, & the food-tasting/dinner itself. I was quite surprised. I've never really expected this to take place at this event...appearance of a mascot at O'Briens?? Hahaha...it reminded me of the A & W bear where I used to see whenever I dine at A & W in PJ Old Town. 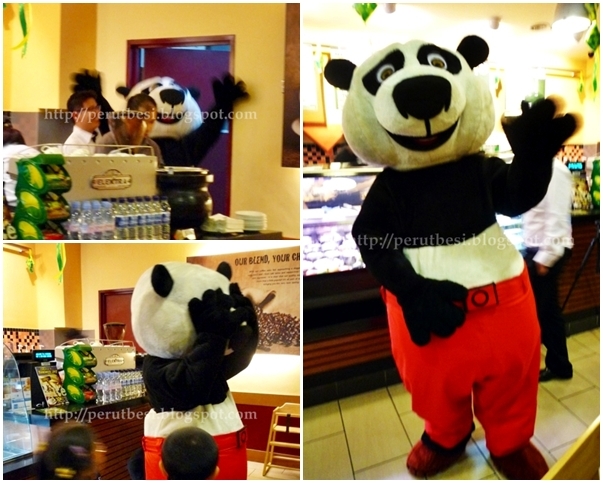 Such memories...previously the A & W bear, now the foodpanda "bear"! Interesting...hello, foodpanda! 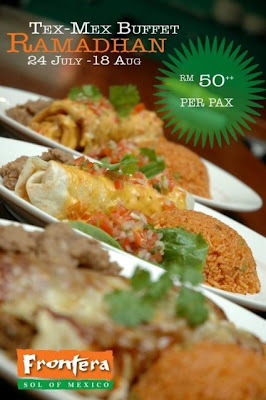 You can also opt for ala carte at RM13.50++/sandwich serving. It's quite an "interesting" sandwich. I would never have thought of 1. curry chicken WITH MAYO sandwich, 2. cashew nuts in my sandwich, & 3. GRAPES in my sandwich! I wonder how they managed to experiment & come up with such an interesting idea. If you try this sandwich during Ramadan, do share with me what you think about it :) I'm sure it'll be a "unique experience". Drinks was also on the house, according to preference, so we just ordered what we wanted from the menu. Food/sandwiches, on the other hand, is prepared by the host. Have you seen a panda serving sandwiches? 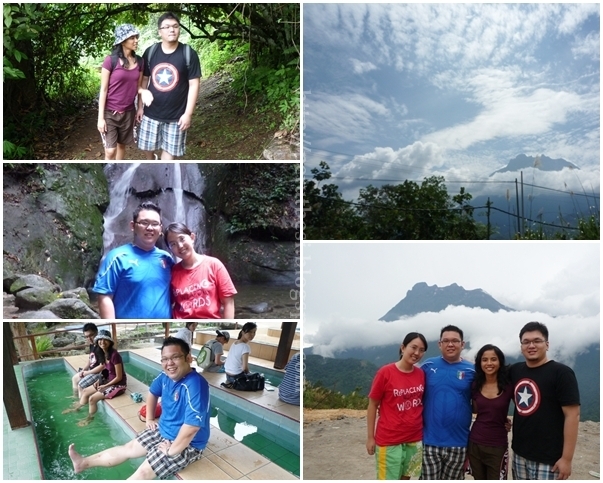 We tried 2 variants of shambo i.e. wholemeal & focaccia. The focaccia was certainly our pick over the wholemeal as it is more fragrant with the herbs & olive oil. Yums. This is actually a vegetarian sandwich. You can also opt for additional chicken for RM3.50++. It's very nice for a vegetarian sandwich! The pesto is a brilliant idea! 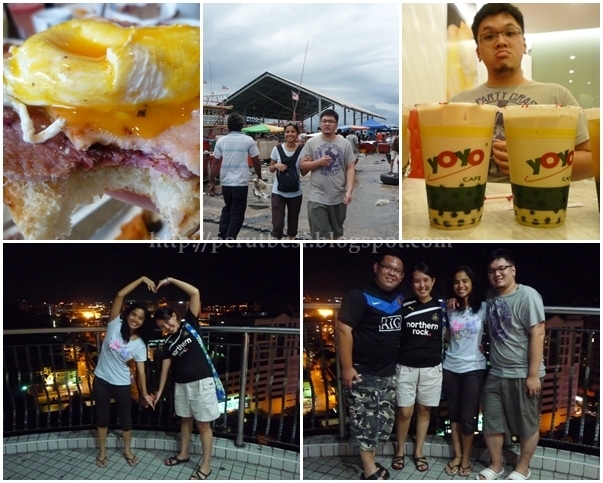 This was indeed an interesting evening for a weekday. I'm SO thankful I didn't have any meetings/night calls to attend, so I could just take my own sweet time to enjoy the food, the company, & just have a quick catch-up with SY. At the end of this month, our Muslim friends will begin the Ramadhan-month fasting in preparation for the Muslim calendar's New Year a.k.a. "Hari Raya Aidilfitri". 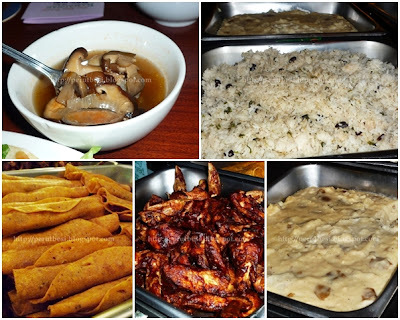 With much hype for fasting & ever more so for the breaking of fast, all sorts of Ramadhan buffet spreads are offered by almost every halal restaurants! 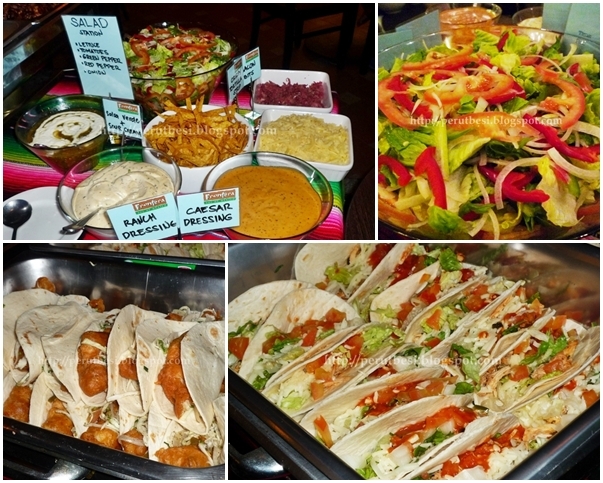 I was invited to the 'preview' of a Tex-Mex Ramadhan Buffet last Saturday. Believe it or not, it's my 1st time trying out a non-Malaysian Ramadhan buffet (not inclusive of hotels' international buffet spreads)! 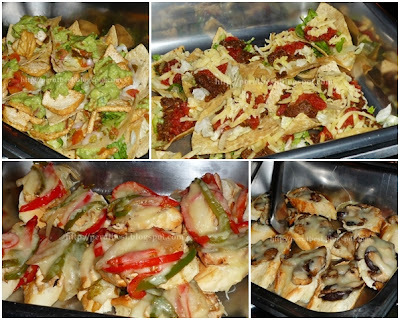 I've dined at Frontera numerous times, but since this is a buffet, it's a slightly different feel altogether. Frontera's Ramadhan buffet offers something different to the palate. For Muslim friends, you won't get your usual Malaysian cuisine here when you "buka puasa" (break fast). Instead, Frontera takes your appetite to "the other end of the world" for some Tex-Mex dishes at RM50.00++ per adult. It's probably one of the more affordable Ramadhan buffets in town with a good variety of dishes. Basically, expect a lot of cheese, nachos, tortillas, guacamole, beans, tomatoes + herbs & spices - and a good variety of Tex-Mex dishes. The buffet offers 12 types of starters, 1 ala-carte main dish (order from the Ramadhan promotion menu), & 6 different types of desserts...fuh, starters & desserts are enough to fill you up! Clockwise top L-R: Tres Leches Cake (Vanilla Sponge Cake Soaked in 3 Types of Milk), Mexican Flan, Fiesta de Fruita, Brownies, Fruit Popsicles. I don't really enjoy desserts as desserts are generally very sweet. 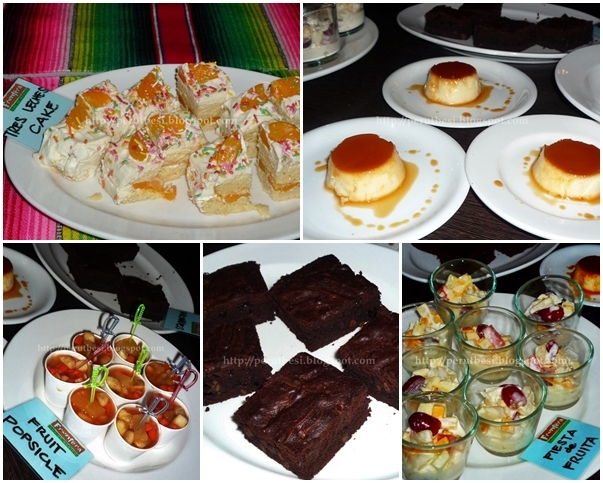 In my opinion, some of the desserts served here were "an acquired taste", especially since most Mexican desserts contain a lot of milk - so lactose-intolerant people, please avoid the milky desserts! My plate of starters only! On the overall, food was not too bad. The best for the night was the BBQ Wings as it was more flavourful than the rest. The tacos were not too bad as well, but by the time we ate on that evening, it was kinda cold already. The bruchettas & tostadas were also cold, so they weren't as crispy/crunchy as expected. 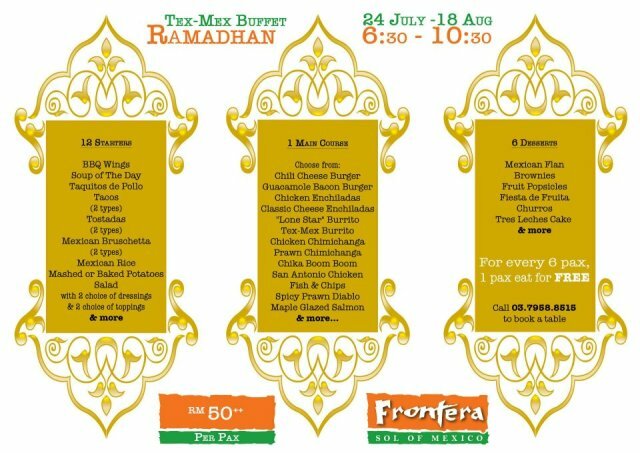 Frontera will be serving smaller amounts & refilling their buffet spread more often during Ramadhan to ensure that the quality & taste of food is not compromised. Butter-fried prawns with spicy fresh tomato sauce, garlic, onions, & habenero. I enjoyed the salmon more than this prawn dish as I personally felt it tasted quite 'common' like our Chinese "kung po" style dishes. But I have to say that the prawns were fresh, which was really important for me! Do call to make your reservation! Is Tex-Mex food your thing?